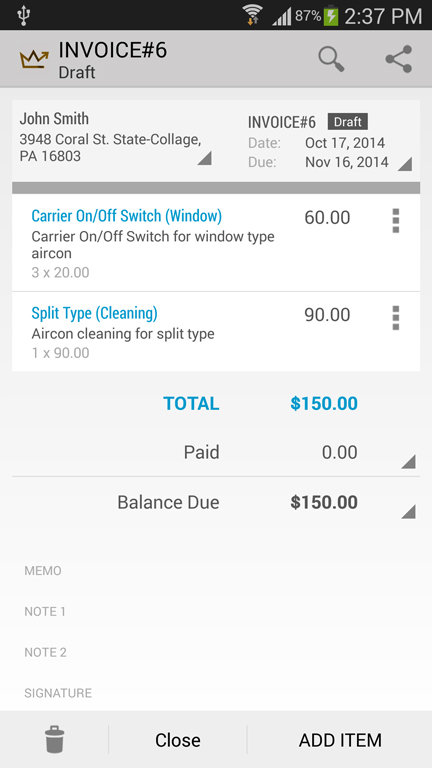 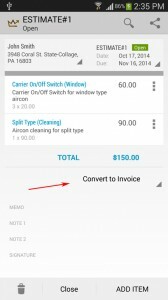 (2) Then click on the “Convert to Invoice” section. 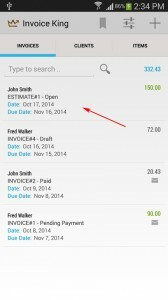 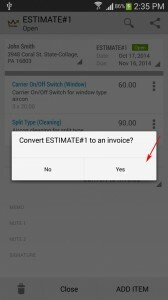 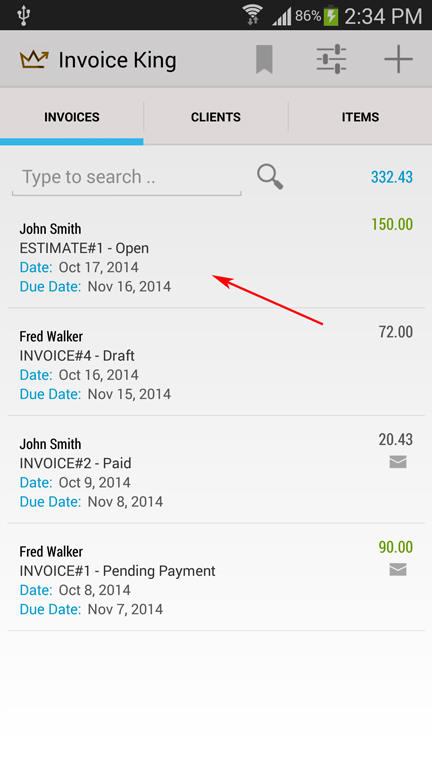 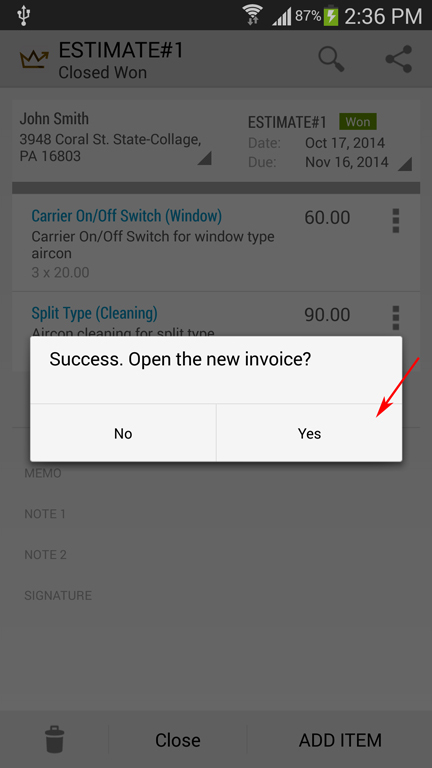 (4) Then click on Yes button to show the newly created invoice. 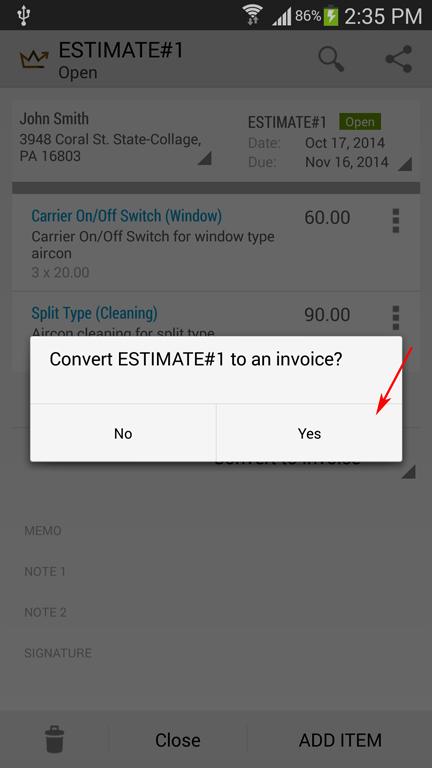 (5) The details of the estimates will all be transferred to the invoice.